British Swim School New Jersey The Oranges - saving lives in Essex County by offering our extraordinarily effective and gentle method of water survival and swim lessons with pools in Livingston and Fairfield. 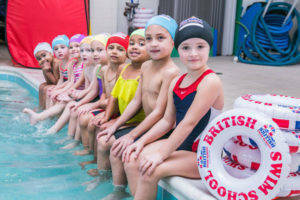 For swim lessons in Essex County with a focus on safety, call on British Swim School NJ The Oranges. With enthusiastic instructors, proven methods, and goal-oriented class levels, we’re aiming to become the first choice in swim lessons for parents in The Oranges, Livingston, The Caldwells, Verona, Bloomfield, Montclair, Nutley, Belleville, Paterson, Little Falls, Glen Ridge, Maplewood, Short Hills, Roseland, Pine Brook, Clifton, Passaic and the surrounding areas. Our swim lessons will teach your child critical water safety skills and how to swim, all while having a blast. No matter which class your child starts in, they’ll advance at their own pace. Using our method ensures your child never needs to wait for a new class session to start and will never be rushed if they need additional time to master a new skill. To enroll in swim lessons or for more information, please call British Swim School New Jersey The Oranges today at (201) 895-8595. Our swim lessons will be available starting September 1st in locations in Livingston and Fairfield for parents throughout Essex County.